The Kitsap Peninsula loves pets, and we have dozens of public parks, miles of trails, beaches and wide-open spaces where you and your best friend can enjoy some fresh air. 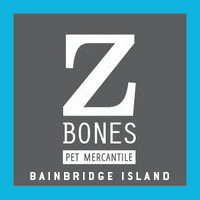 Nearly all lodging establishments and many breweries, restaurants with outdoor seating and businesses also welcome pets. 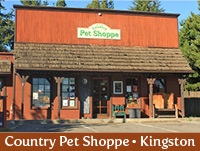 Look for ideas in the Pet-friendly Search List below. In our Public Parks & Trails Search, use the Dog Park and Pet-friendly filters to find even more destinations. If you're planning to spend the night or longer, visit our Where To Stay page and use the Pet-friendly search filter. YOUR SUGGESTONS ARE WELCOME! Please send ideas, photos, tips and suggestions to: . 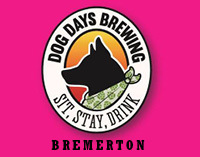 Many Kitsap Peninsula Craft Breweries and casual dining spots allow you to bring along your furry friend while you enjoy a locally-brewed cold one and a bite to eat. 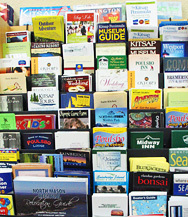 Click here for our Kitsap Craft Breweries Print Guide for the best craft beer and pet hot spots! Check out this article in City Dog Magazine about places to take your pooch on the Kitsap Peninsula including walking trails and parks, waterfront boardwalks, and tasty food and beverage stops along the way. The Peninsula Dog Fanciers' Club All-Breed Dog Show is a 2-day event held at the end of March at the Kitsap County Fairgrounds in Bremerton. Events include two All-Breed Dog Shows, three Rally Trials, and three Obedience Trials. The next event will take place be on March 23-24. The Kitsap Peninsula provides a number of off-leash dog parks where well-behaved canine citizens can exercise in a clean, safe environment without endangering or annoying people, property or wildlife. It also promotes responsible pet ownership and provides elderly and disabled owners with an accessible place to exercise their companions. It's a fun place to socialize with others and exercise your dogs. 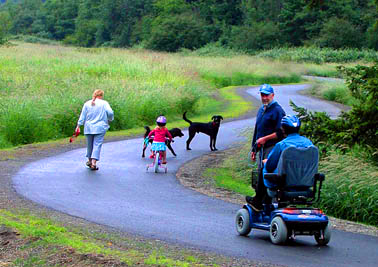 • Howe Farm Off-Leash Dog Park – Port Orchard. Located on Long Lake Road between Mile High Drive and Sedgewick. Excellent trails and open farm fields. • Bandix Dog Park a 30-acre park on Bandix Road off the Burley-Ollala Road near Highway 16. Bandix Dog Park offers a mix of wooded trails and open clearings linked by trails. 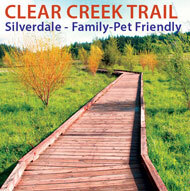 • Silverdale Dog Park - located at 11601 Silverdale Way NW. The park is dedicated to fun and exercise activities with your dog in an off-leash area. All well behaved dogs are welcome. • Rotary Bark Park - located at 10100 Bujacich Road NW, Gig Harbor. A 97-acre natural area with 15 acres of off-leash dog area with over one mile of fenced trails. • Ueland Tree Farm Trails - located just west of Kitsap Lake on Leber Lane NW. An over 2,300-acre family-owned sustainably managed tree farm. Includes two beautifully wooded trails, a waterfall and views of the Olympic mountains and Hood Canal along the way.